For those craving to become like their favorite stars, everything from their hairs to toes is always the target of copycat fashion. Their styles of clothing, accessories, bags and shoes are often mimicked by fans or trend-savvy girls. Among others, the hairstyles frequently change in accordance with the concept of their new projects as they are believed to complete fashion. The hairstyles of nine members of iconic K-pop band Girls’ Generation will be available through partial wigs or hair extension to reach consumers. Hair Couture, a Korean hair fashion brand which was established in the United States five years ago, has signed a joint contract with Girls’ Generation and SM Entertainment. They will enter the Asian market along with the launch of various hair products including wigs and extensions designed after the hairstyles of the group’s members which are hugely popular in East Asian countries. Taeyeon from Girls’ Generation tries a partial wig of Hair Couture. “We are going to launch various hair products using the styles of Girls’ Generation’s nine members. 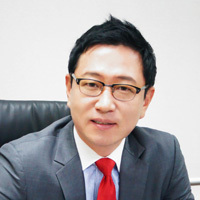 We think we can receive a good response from the Asian market,” Kim Min-seok, CEO of the company, said during an interview with The Korea Times. He stressed that the company is not using the group members as just advertisement models but business partners who have actively engaged in development of style designs. “So far hallyu has been associated with just K-pop singers and their music or dramas and tourism. But now I think hallyu should extend its scope to a wide range of products related to what hallyu stars wear, eat and do. Everything they do can be an asset of hallyu items. Style is content. I think it’s closely related to the creative economy,” he said. The company will launch some 20 kinds of Girls’ Generation hair products at Olive Young, the leading drug store in Myeong-dong, downtown Seoul, on July 26 along with an autograph session of the group. Starting with Girls’ Generation, the company will extend its product line with other K-pop groups in SM Entertainment. “Maybe the next hair line for men might use the hairstyles of SHINee,” he said. Kim said that Korean hair products have been long regarded as quality items for a long time as the nation was one of the biggest exporters of wigs in the 1960s and 70s. 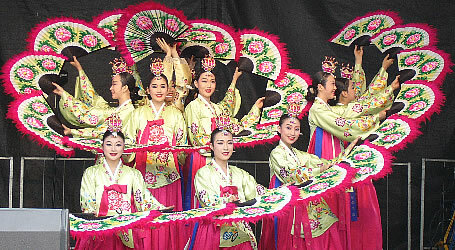 The wig business was the main source of revenue for Korean immigrants in the United States since the majority of wigs used in the U.S. were manufactured in Korea. “Koreans have been superb in designing hair styles or other beauty art skills from the past. Making wigs is one of Koreans’ competitive edges. Such legacy still remains so that Korean wigs are hot sellers in foreign markets,” he said. Kim initially began his hair brand company in the United States five years ago targeting mostly North America and Europe. It produces and distributes fashion wigs sold to 20 different countries. According to Kim, the Korean hair market is growing fast every year with a 200 to 300 percent increase from four to five years ago. The market size of the wig industry is estimated at some 600 billion won. The majority of the wig business relies on medical wigs for consumers undergoing treatment or suffering from hair loss represented by Hi-Mo and Milan. The medical wigs have a strong competitive edge over other countries but the fashion wigs are growing as fast as they did. It is expected to catch up the size of medical wigs within just a few years. “In the past, wearing a wig was just an inevitable choice for medical purposes. But now sporting a wig or other hair products such as extensions is becoming a fashion like wearing an accessory. It is becoming a crucial part of beauty products,” he said. In recent years, not only young women but also young men sport the fashion wigs when they are in military duties to hide their shaved head. “We see the Korean wig industry has much potential because people are getting concerned about their fashion in many countries. Once wearing it, people cannot resist the charm of the fashion wigs. If the wigs are the styles from K-pop stars, their multinational fans might be fascinated,” he said. Through the launch of the new hair line, their products will be spreading out to China, Taiwan, Thailand, and other Asian markets. “I think we the small businessmen have great ideas linking hallyu to various products. It can bring shared growth with both the entertainment and manufacturing industries. I want to call them ‘K-products,’” he said. The company is renowned for its representative brand Smart Hair which received a patent for allowing people to instantly have long hair and volume in a couple of minutes. Because of its convenience and comfort, it is the company’s bestseller. You are looking awesome wearing this wigs. Very nice collection. I also love wigs very much because it change my looks totally in a moment and make me more stylish. I always buy wigs from online store Elevate Styles. you have posted very nice blog here and informative post.